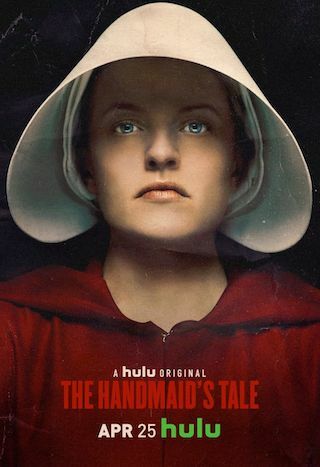 The Handmaid's Tale is a 60 minute scripted science-fiction television series, which kicked off on April 26, 2017, on Hulu and is broadcast every Wednesday at . The show is currently in its 3th season. Hulu has officially confirmed the renewal of The Handmaid's Tale for Season 4. The exact release date is yet to be announced so far. Sign up to track it down. The Handmaid's Tale is the story of life in the dystopia of Gilead, a totalitarian society in what was formerly the United States. Facing environmental disasters and a plunging birthrate, Gilead is ruled by a twisted fundamentalism in its militarized return to traditional values'. As one of the few remaining fertile women, Offred is a Handmaid in the Commander's household, one of the caste of women forced into sexual servitude as a last desperate attempt to repopulate the world. In this terrifying society, Offred must navigate between Commanders, their cruel Wives, domestic Marthas, and her fellow Handmaids where anyone could be a spy for Gilead all with one goal: to survive and find the daughter that was taken from her.